Allodesmus Skull. Allodesmus kelloggi. Miocene Sea mammal. California's Shark's Tooth Hill. Buena Vista Museum of Natural History. 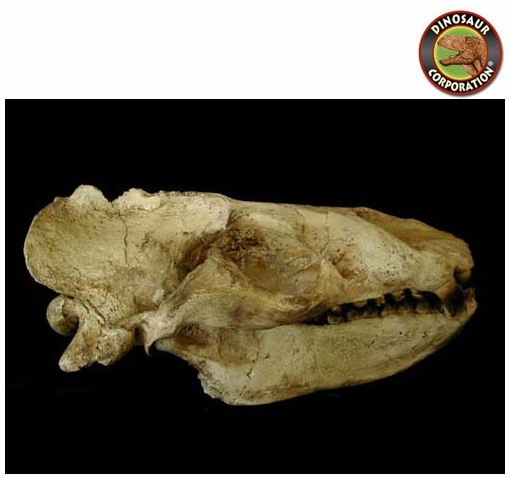 Allodesmus is an extinct genus of pinniped from the Miocene and related to the genus Desmatophoca. It measured about 8 feet (2.4 m) long and weighed 800 pounds (360 kg).